Hello friends! I think it's time for another treat don't you? I discovered this divinely easy-peasy pudding on New Year's eve when I decided to cook a special meal for my partner. The main course of homemade Italian meatballs with spaghetti went down a treat so expectations were high for dessert and thankfully this one delivered! Apart from the deliciously sweet flavouring, the great thing about this dish was the minimal effort required which allowed me the luxury of more time to concentrate on cooking the main course. 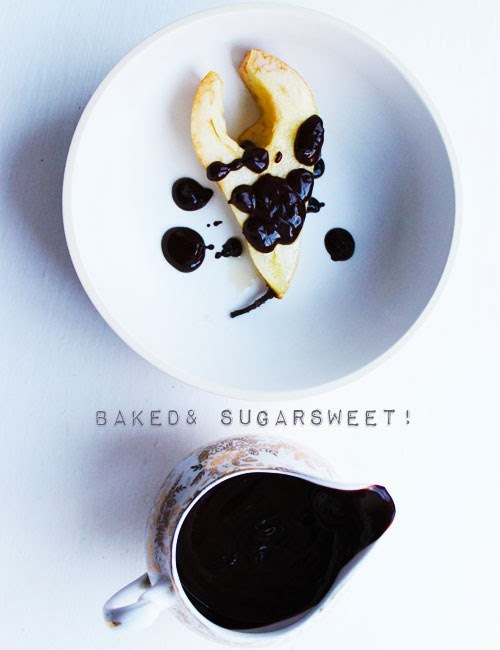 The pears softened beautifully as they baked to perfection with the caramelised sugars. The piece de resistance was the molten chocolate sauce which gave a tiny kick, courtesy of some pear brandy. I am pleased to report that his dessert was not overly filling and I think this might also work as a chilled Summertime treat - seconds anyone? Beging by preheating the oven to 160oC /Gas mark 3oC. 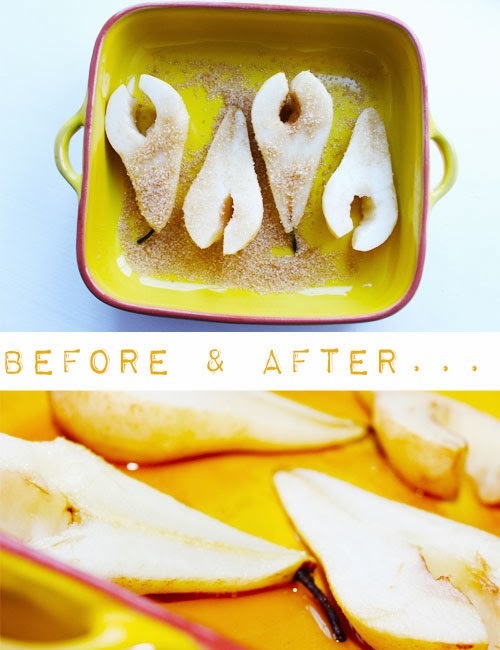 Gently sprinkle half of the brown sugar into an ovenproof dish before peeling, halving and coring the pears. Add the pears to the dish and then sprinkle over the remaining brown sugar. Bake for 15 minutes. 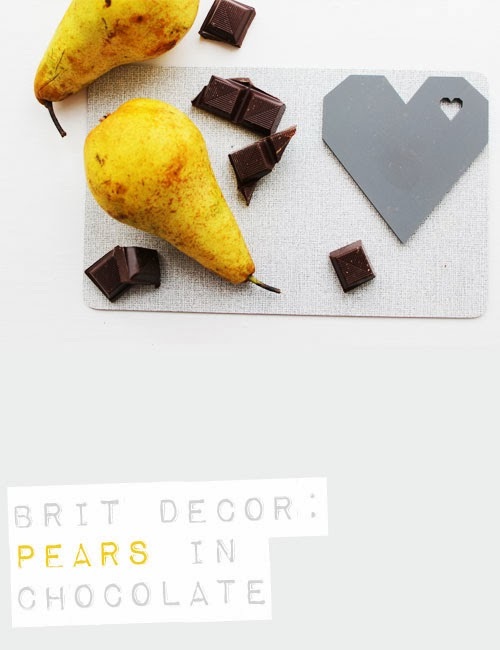 Whilst the pears are baking, break the plain chocolate into pieces and melt together with the butter in a pan. Then add the pear brandy and stir until smooth. Once the pears have been removed from the oven, pour over the chocolate and serve. Yes I kid you not, it was that simple!